At Karama School we aim to ensure high-quality mathematics education for all students. Learning mathematics creates opportunity to enrich lives and society. It provides the capacity and confidence to meet the demands of learning, home, community, work, and civic life. It ensures preparation of a future workforce ready to contribute effectively and competitively in a continuously-changing global world. Our vision of high quality mathematics includes conceptual understanding, problem solving, making connections across representations and mathematical concepts, and engaging in reasoning and argumentation necessary for everyday life. Mathematics is a core subject and forms a regular part of the daily program. The Karama Scope and Sequence is the document that teachers will use as a timeframe for their programing. Focusing on the progression of Meaningful Maths (NZ) global stages through Emergent (stage 1) to Advanced Proportional (stage 8). Number is the major strand delivered in class programs and is incorporated across the curriculum where, and as possible to develop understandings of numeracy of everyday life. 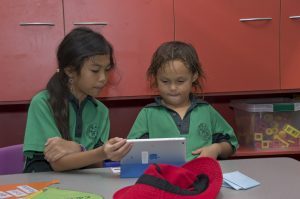 All other strands will be delivered across each term and revisited regularly to consolidate student knowledge and skills and integrated where possible. All students can achieve given sufficient time and support. All teachers can teach to high standards given the right conditions and assistance. All teachers will engage in professional learning and be reflective in their practice. Teachers will document their learning goals so that all students will articulate their learning. Teachers will implement programs and focused explicit teaching in response to deliberate and regular assessment and monitoring. However, at Karama School we have a minimum expectation of 5 hours per week across the school. 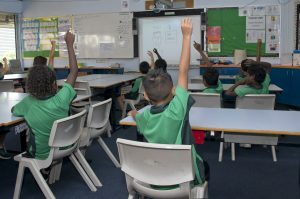 Measurement, Geometry, Statistics and Probability refer to the Australian Curriculum. Class grouping will initially be determined by JAM or IKAN and GloSS. New students are required to be tested by their class teacher upon enrolment. 15 minutes · Involving all students by enhancing the opportunities for a diversity of responses, effective modeling of the students’ strategies for others and developing a collective learning focus. 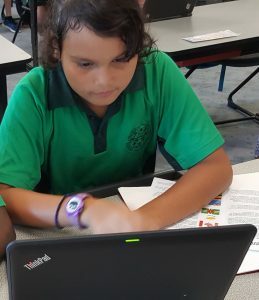 · Share the knowledge focus with students as learning outcomes. · Present the concept to be learned through demonstration and discussion with the whole class. · Introduce the problem to the whole class. · Discuss the conditions of the problem as well as potentially useful strategies and sources of information. · Form the class into co-operative groups/pairs. 2 x 15 minute groups · Have practice activities organized as seat work or stations for students to visit. 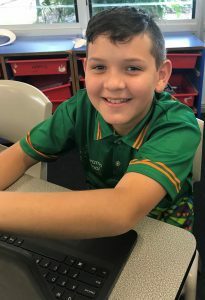 · Students work in groups. · Students work in teams to solve the problem. · You may bring the class back together to discuss progress. · You may want to make available scaffolding ideas, such as hints and suggested strategies. 5 minutes · Summarise the learning outcomes from today’s lesson, making connections to previous lessons and existing knowledge. · Students share their solutions with the whole class. · Provide connections to other mathematics and contexts and have students reflect on the power of their strategies. Each classroom teacher will receive a resource box with a content list attached to the top of box. The content of the box will differ depending on the year level. Please ensure that you look after the box and equipment as it will need to be returned to the math resource room (library) at the end of the year with all of its contents included. Teachers will use a checklist provided by the Curriculum Leader to check off resources. If equipment is missing, you may need to replace missing pieces from your class budget. IKAN and GloSS tests (Tests 2&4) Test one for Term Two, Test Three for Term Four. All teachers will be involved in ongoing professional learning throughout the year. New teachers will be given the opportunity to attend induction sessions, extra PL, observe other classrooms and receive model/team taught lesson demonstrations. All teachers can access the professional development link on the NZ Maths website as well as, the Meaningful Maths website via the School Portal.